Gmelius, Streak, Drag App, and more. I tried 15 of the best Gmail add-ons you can use in 2019. Gmail is great for email. It is presently the most successful email provider in the world and more than 1 billion users trust Gmail for communication at work, home, school and more. But you can make even more out of Gmail. 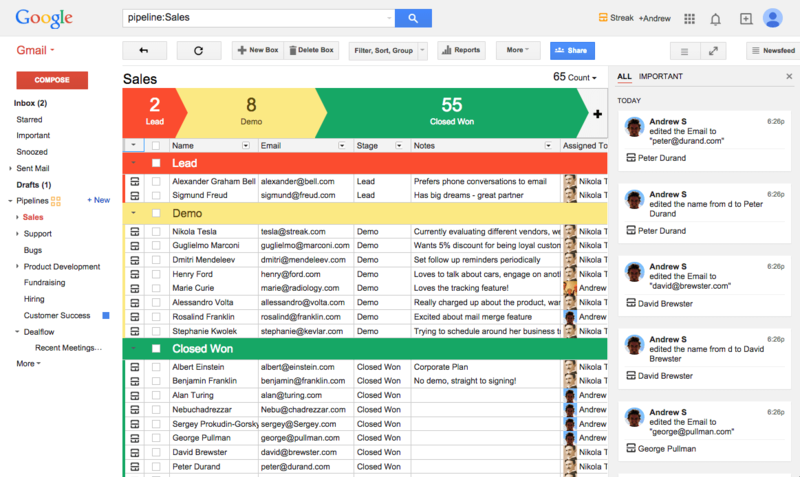 Using Gmail add-ons, apps and extensions, you can do a range of things with your Gmail inbox, from using a Kanban board to documenting and managing leads, running a CRM, and more. With Gmelius, you can supercharge your Gmail inbox and turn it into a productivity powerhouse. I found out about Gmelius earlier this week with their recent launch on Product Hunt and decided to test out its features. I was amazed at how effective and seamless this integration was. Gmelius works with Gmail, Inbox by Google and G-Suite and has a ton of features to offer for email automation, email marketing campaigns and security – some of which are listed below. Gmelius grabs the top spot in this roundup for the best Gmail add-ons. Dropbox is no stranger to anyone, as it is widely popular among people who share files through their e-mails often. If you did not know that you can add it to your Gmail, you’re in for a surprise! Right from the start, you will be impressed by the sleek design of the Dropbox add-on. There isn’t any big window popping out every time you want to use it; simply click the discreet icon that is now part of your Gmail and you can share documents, folders, files or links in a few seconds. 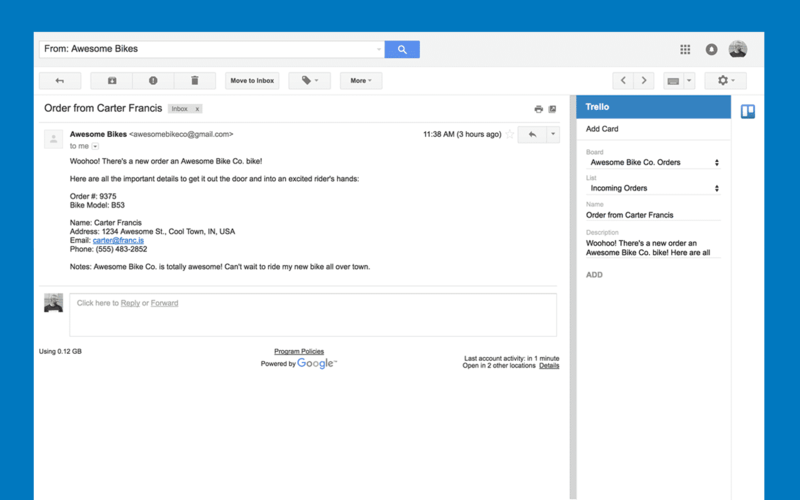 There’s a reason why so many people consider Trello to be one of the best Gmail extensions: Trello allows you to stay organized, on top of everything you have to do, and to manage your work and tasks without having to leave the Gmail app. You can easily install Trello on your computer, and you can add information from your E-mails to your Trello boards in an instant. Even more than this, you can let your entire team see them or you can keep them for yourself! Free Version. You can use the Free version with your team if you only need the basic features. Business Class $9.99 per month. It is recommended for big teams that need advanced features. If you are on the hunt for the best Gmail apps, you may come across Insightly. It provides project management software and customer relationship management for all kinds of business. In other words, it allows you to control every aspect of your business with ease, especially your relationship with your clients. Insightly allows every member of your team to access important information in a matter of seconds, and notice immediately any order or project. Mojo Helpdesk has high chances to be one of the best Gmail add-ons for customer service. We all know how tricky it can be to keep up with all the tickets when you work directly with clients who need your help. What can Mojo Helpdesk do for you? Mini Me – Free. It includes up to 3 agents, 2 custom forms and 2 custom views as well as 2 canned responses. Mojo Professional – $29 per month. It includes up to 10 agents, 6 custom forms, 10 custom views as well as 6 canned responses. Mojo Enterprise – $99 per month. It includes up to 10 agents, unlimited custom forms, custom views and canned responses. Mojo Unlimited – $399 per month. It includes unlimited agents and unlimited access to all features. 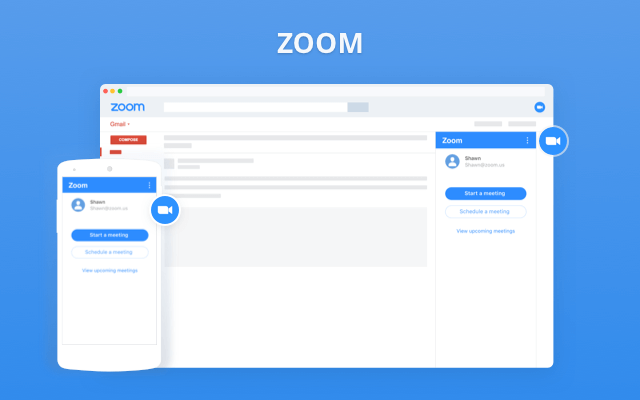 When someone talks about best Gmail apps, Zoom pops in my mind. This app allows you to discuss with your team, your colleagues or your clients without having to switch between apps. Go from a chat to a flawless video call in a matter of seconds! Basic – Free. It is suitable for personal meetings, it can host up to 100 participants, it has a 40 minutes limit on group meetings, access to basic features. Pro – $14.99 per month. It is recommended for small teams. It has a 24 h limit on group meetings, it offers admin feature controls, reporting, custom personal meeting ID, assign scheduler and the option to add more than 100 participants. Business – $19.99 per month. It requires a minimum of 10 hosts. It has a lot of pro features such as dedicated phone support, admin dashboard, Vanity URL, Managed domain and many others. Enterprise – $19.99 per month. It requires a minimum of 50 hosts. It includes up to 1000 participants, unlimited Cloud storage, Executive Business reviews and Bundle discounts on Webinars and Zoom Rooms. 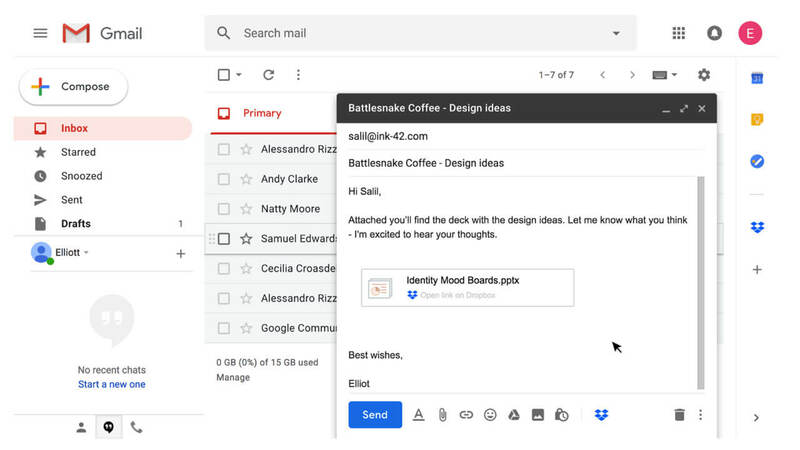 Arguably one of the best Gmail extensions, Bookipi is an add-on that every small business should use it. 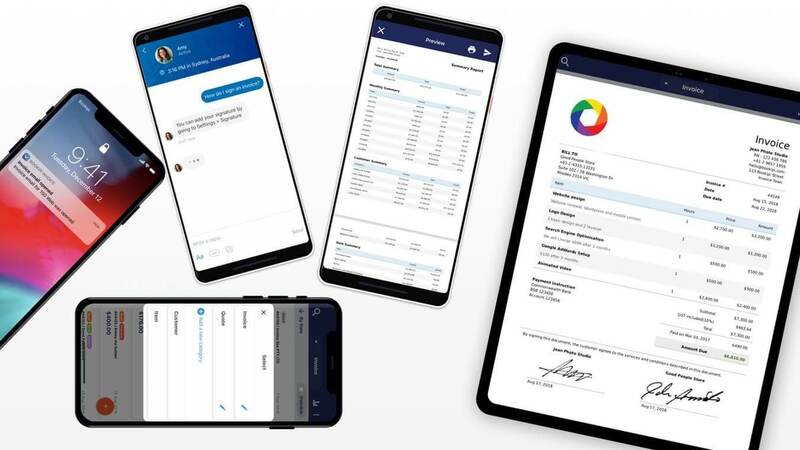 It is one of the top apps that you can use for sending invoices, estimates and keeping track of the financial part of your business. Good news! Bookipi is completely free for all users, with all features included! We believe that the best Gmail add-ons are the ones that allow you to find and use GIFs. One such add-on is Giphy. Indeed, they do turn any e-mail into a funnier one, and you can engage your readers by sending them funny e-mails instead of average newsletters. Giphy is completely free, and you can have as much fun as you want with great GIFs and stickers. There are some apps, like Gfycat, that can turn any work day into a fun one. Will this make it become one of the best Gmail apps? Gfycat allows you to find and integrate the perfect GIF in a few seconds, and you don’t even have to leave Gmail for this! Gfycat is completely free, so anyone can enjoy funny GIFs! Looking for a CRM solution that integrates directly into your email inbox and manages all emails seamlessly? Try Streak for Gmail. It is one of the most popular Gmail add-ons available offering a feature-rich CRM integration. Streak has a lot to offer, which is why it’s 10th on my list of the best Gmail add-ons, apps and extensions. You use Pipelines, used to manage a workflow or process that has multiple activities at any given time. Pipelines comprise of all your Boxes in Streak. Boxes are centralized locations for all your emails, files, customers and candidates. 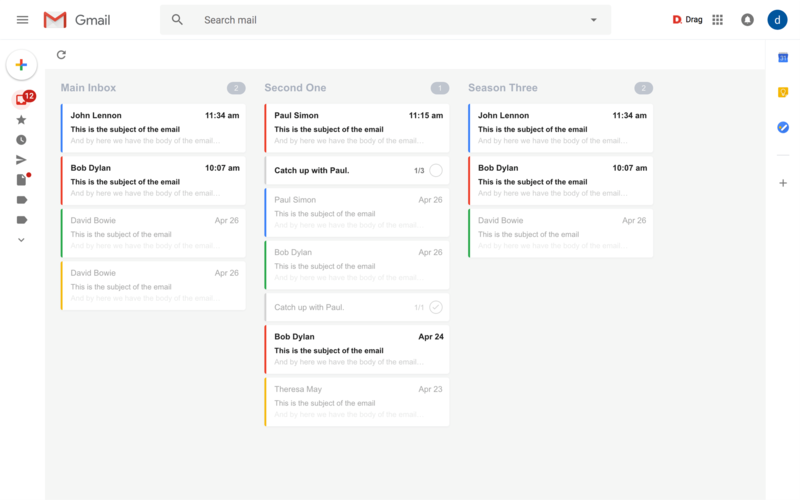 As the name suggests, Drag turns your Gmail inbox into a drag-and-drop Kanban board. You can create a shared inbox if you’re working with a team, or use Drag Solo if you are a single user. Drag is presently in beta, but it has provided early access to a lot of users who have left great reviews online. I was interested in finding out more about it by using it, but couldn’t get an early access in time. Drag makes it to #11 on my list of the best Gmail add-ons and extensions. Drag is presently in beta, and offers a lifetime discounted pricing plan for all its beta testers who are serious about providing feedback as Drag works on bringing shared inboxes to its users. The beta pricing plan starts at $49 per month for unlimited users (paid annually). 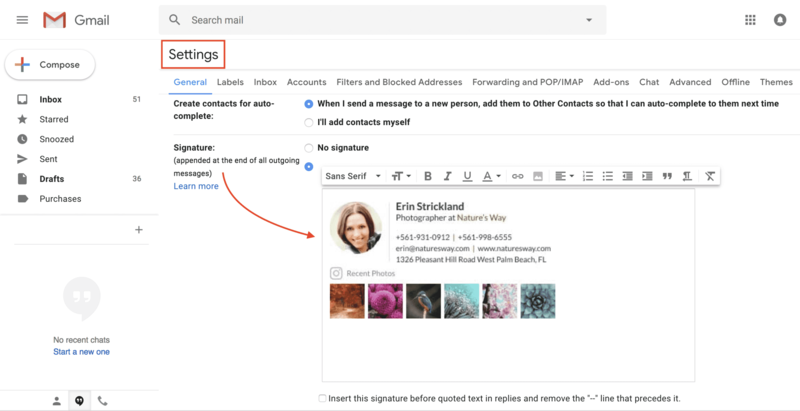 My Signature may be the Best Gmail signature add-on, because it is so easy to use and you don’t need to complicate yourself with extra features that you will never use. With WiseStamp, it’s really easy to create and manage dynamic email signatures for your email. This email signature service was launched earlier in 2014 on Product Hunt where it was successful in gathering a lot of attention. WiseStamp claims that more than 700,000 people are using its signature templates to ramp up their email signature game. It does not only integrate with Gmail, but also works with many other email clients, including Outlook, Yahoo!, Mac and more. WiseStamp makes it to the 13th spot on my list of the best Gmail add-ons and extensions. WiseStamp comes with an “Awesome” pricing plan of $6 per month. You get multiple signatures, assign them to email addresses, professional templates, no ads and more. When you need to find out someone’s e-mail, it’s usually a difficult process to stop whatever you are doing, research the Web, make sure the e-mail is right and contact them. 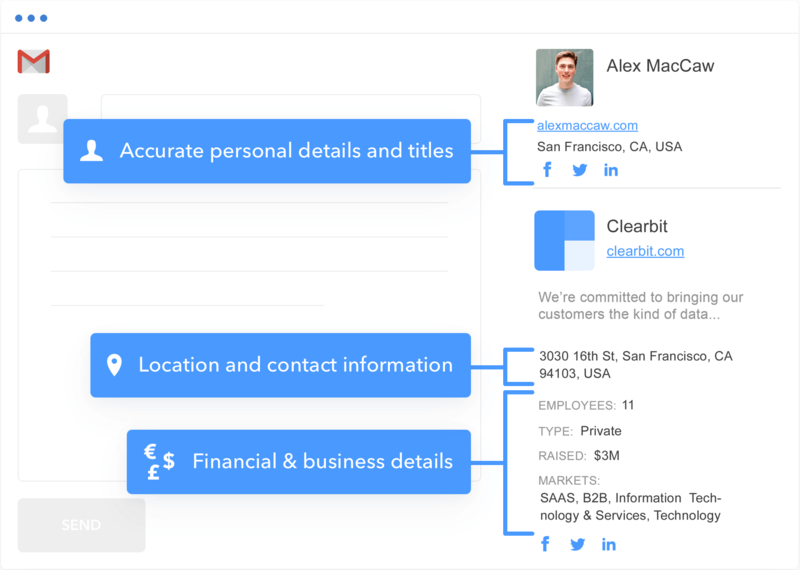 With Clearbit, all this process is simple, as you can find out anyone’s E-mail in a matter of seconds. Discover details about your contacts. Enrichment – $12,000 per year. 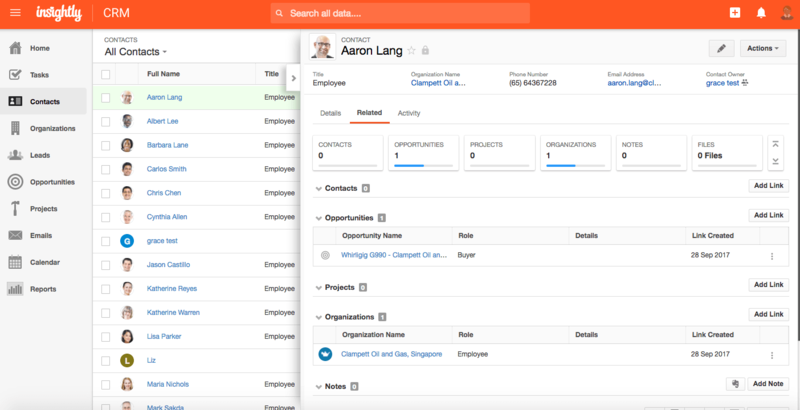 Look-up person and company data using emails and domains. Prospector – $12,000 per year. Find companies and contacts. Reveal – $24,000 per year. Turn anonymous traffic into company data. Checker Plus grabs the 15th spot on this roundup for the best Gmail add-ons and extensions. It is a Gmail extension for Gmail users who are running multiple Gmail accounts and need to access each of them from time to time. With Checker Plus for Gmail, you can easily manage multiple Gmail and Inbox by Gmail accounts without having to open them. The extension lets you receive notifications, read email, compose email using voice input and more. 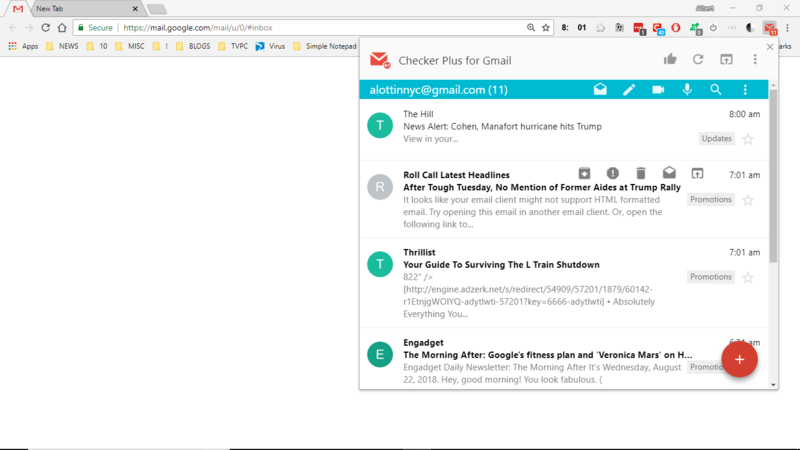 Checker Plus for Gmail is a free Gmail extension with extra features available by contributing any amount that you’d like. 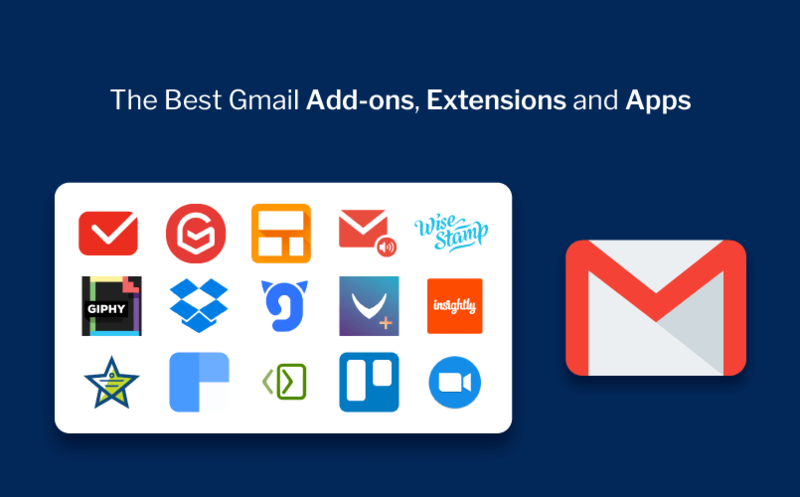 So, this was my roundup of the 15 best Gmail extensions, add-ons and apps for 2019. Hope you guys like it. Do you use an add-on or extension for Gmail that I did not mention in my roundup? Let me know your suggestions via the comments below.